A story that revolves around young people in the society and a romance between two quarrelsome lovers that begins over a misunderstanding. Xiong Dan (Du Chun) is a small town boy who grew up learning martial arts. He is lionhearted and holds a mindset that is different from the practical prudence of someone who lives in the city. While making a delivery one day, Xiong Dan rescues a customer whom he finds unconscious at home. The customer's granddaughter Yang YiYi (Yao Di) mistakes him for the culprit, creating problems between the two from the very beginning. In order to get out of her mother's constant nagging to get married, Yang YIYi coaxes Xiong Dan into a contract relationship that soon turns real. It first premiered in 2016 on Wuhan Er Tao. In order to play the role of a dancer, Yao Di took lessons from a professional dance instructor. 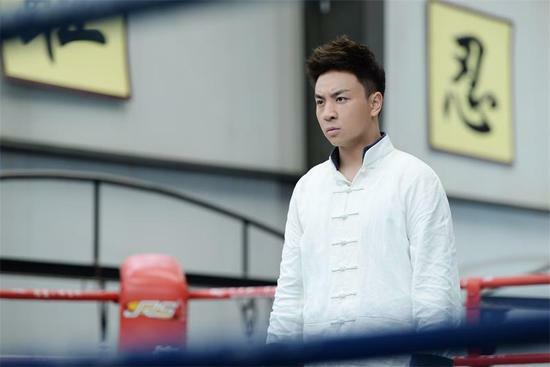 It is Du Chun's first drama with martial arts as a theme. He took lessons from co-star Aston Chen. Director Liu XueSong purposely left the kissing scenes towards the end of filming. However, Du Chun and Yao Di have worked together many times before and don't feel awkward towards each other. Filming took place during the summer and the entire cast and crew were always dripping in sweat due to the hot weather. Let us know why you like Love the Courier in the comments section. Please also share these fun facts using the social media buttons below.